MOAB stands for Mobile Operation Attachment Bag and with the new Tier System (included on the MOAB 10 and 6 and sold separately) can rapidly connect/disconnect to any of our RUSH series of packs, DC Roller and bags with web platform. The MOAB’s include similar features from our RUSH series of packs, including a top-access fleece-lined, non-scratching sunglass pocket, internal and external organizing pockets, key chain fobs, front and side web platform, flag and name tape Velcro, carry handle and hydration pouch compatibility. In addition, both the MOAB 10 and 6 include a tech pocket on the shoulder strap with an ear-bud eyelet pass-through, great for a small radio or smart phone. A sling-styled bag that increases operational flexibility in the field, training, at work or play. 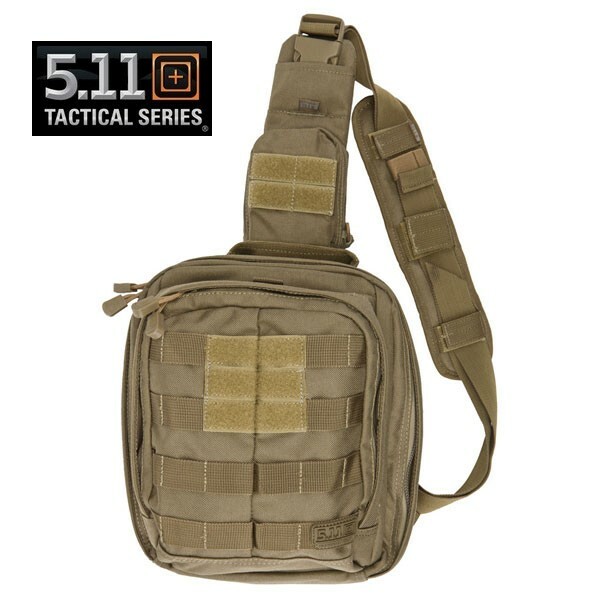 Something unique to the MOAB’s is their ambidextrous sling-style shoulder strap, accommodating either a left or right-handed user. Both bags can also be spun around from the back to the chest while being worn, making them easy to work out of, or to access the hidden weapon pocket. The Sandstone color easily crosses over from field work to family trail hike or outing.